The new Estonian Society for Youth Education�s Tartu Gymnasium for Girls building. Private collection. The recently established Estonian Society for Youth Education decided to establish a private upper secondary school for girls, because they considered it of paramount importance to educate them in the national culture. It was presumed that mothers are the primary teachers of values and use of language at home. Private schools for girls operating in the national language were not licensed to issue certificates of graduation. The validity of certificates for girls was not considered as important as those provided for boys. If girls wanted to obtain a valid certificate of graduation, they had to take final examinations in Russian at the Imperial Gymnasium. The opening ceremony was held on September 1, 1906 (according to the old calendar) at 24 Jaani street, which was next to the main university building. A year later it was moved to the Jevdokimov House at 74 Tiigi street. Peeter Põld was considered to be a suitable candidate for headmaster, but as he was not yet a licenced teacher, Oskar Kallas was appointed to the position. 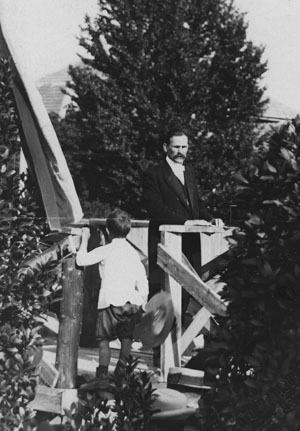 In 1908, Peeter Põld spent five months travelling, during which time he visited several German and Swiss educational institutions and became acquainted with new ideas for organising schools. He also met outstanding educationists, including Fr. W. Foester, who had the most significant influence on him. In the autumn of 1908 Peeter Põld was appointed teacher of theology at Tartu Girls’ Gymnasium and half a year later became its headmaster. He held the position until November 1918. The young headmaster had to contend with official attempts at Russification as well as with popular apathy and indifference with respect to issues of cultural education in those challenging times. There were no curricula for upper secondary schools with instruction in Estonian, no school textbooks and no qualified teachers. Neither was there any educational program based on Estonian school traditions. 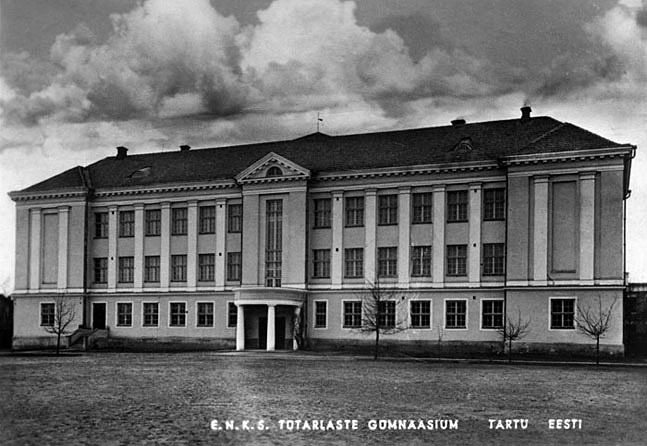 The Estonian Society for Youth Education’s Tartu Gymnasium for Girls was a pioneer in the development of Estonian cultural education and the model for minority schools established by the society. 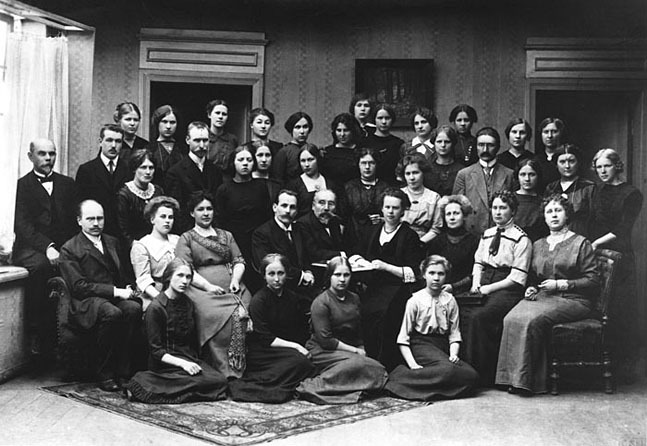 The first graduates of Tartu Girls’ Gymnasium completed their studies in 1913. The cornerstone for a new school building was laid on June 1, 1914, but due to the political situation at that time the school was not able to move into those premises until 1921. On the 10th anniversary of the school in 1916 the headmaster stated that the school had proved the suitability of Estonian as a language of instruction. At the same time, results of examinations taken at the Imperial Gymnasium demonstrated that the students had gained a good knowledge of the Russian language and culture as well. The headmaster praised the good relationship between teachers and students. He also mentioned that “in moving towards work- or independent schools” the main focus in primary classes was on studying the home environment. ● In order to determine the optimum organisation of studies, teachers had to understand their students – notes were to be taken to describe individual students. From 1918 onwards the school was called a gymnasium. The aims, programs, methods and techniques field-tested by Peeter Põld and his colleagues in the first gymnasium with instruction in Estonian became educational cornerstones for the development of independent Estonian general comprehensive schools.